Memories of summer is now in the distant past. The air is once again cold and damp. The trees are leafless and the ground full of fallen leaves waiting to be cleared. Our barbecuing days are over, at least for now. 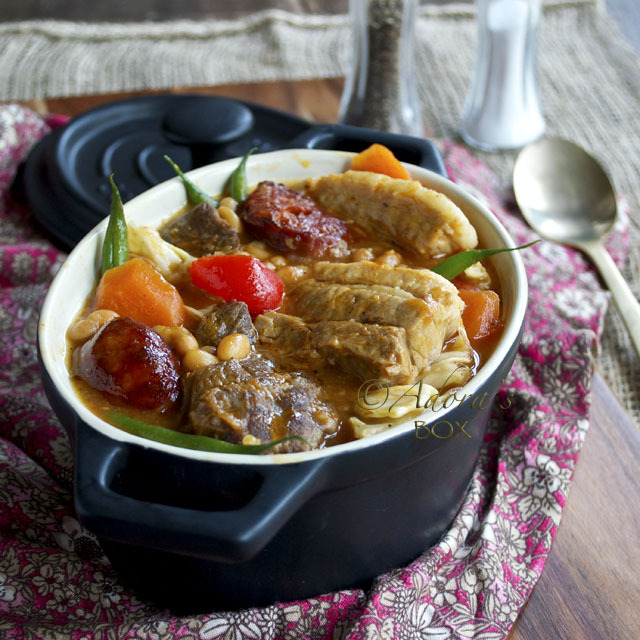 Warming stews and soups are what's best to eat at this time of year. With all the end-of-the-year festivities we are faced with, it it best not to fuss with the everyday meals. 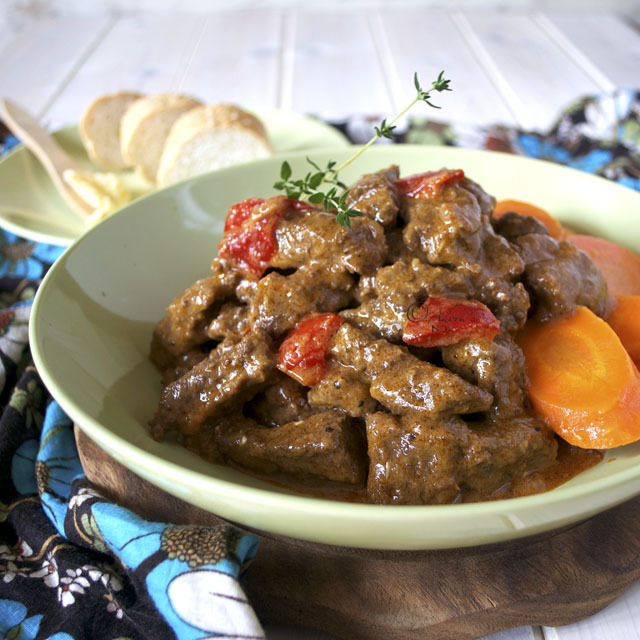 One of the easiest and fuss free dishes I like to cook is goulash. It is a rustic stew usually made with beef but can also made with pork, lamb or veal. The ingredient that gives it its character is paprika. After the searing and sautéing process it just sits in the oven to develop that rich taste and tender texture that we all look forward to. 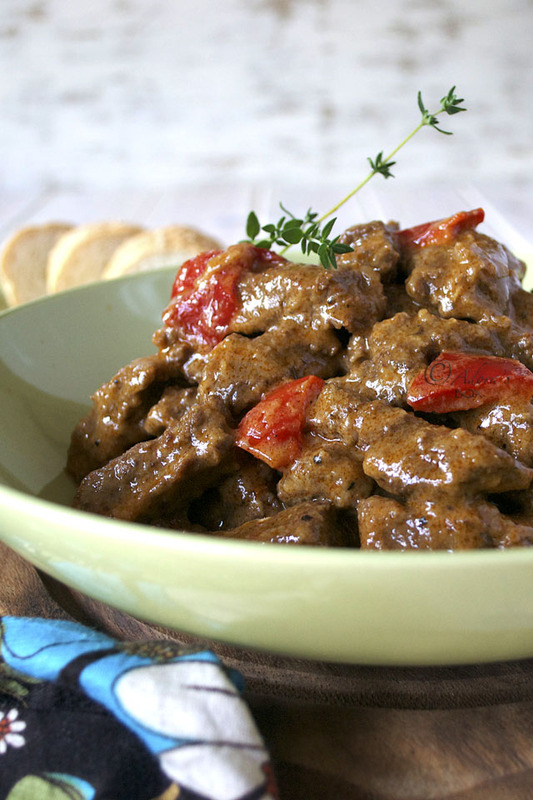 Beef goulash is so versatile, too. 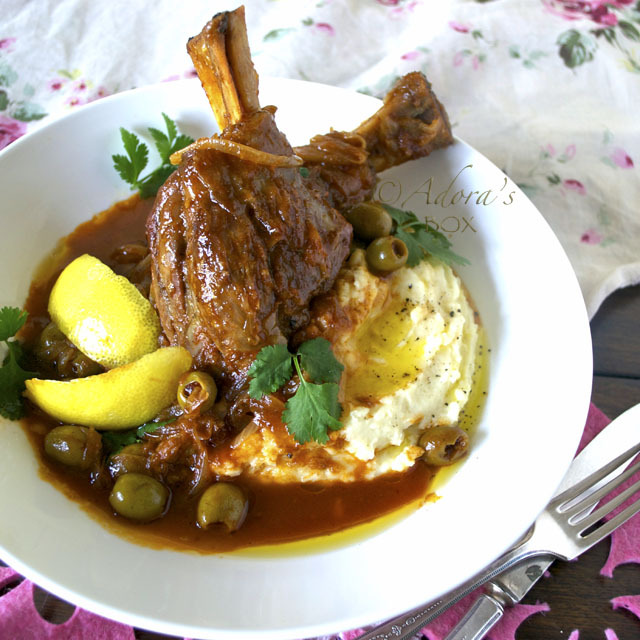 It is equally delicious with boiled potatoes, rice, pasta or bread. 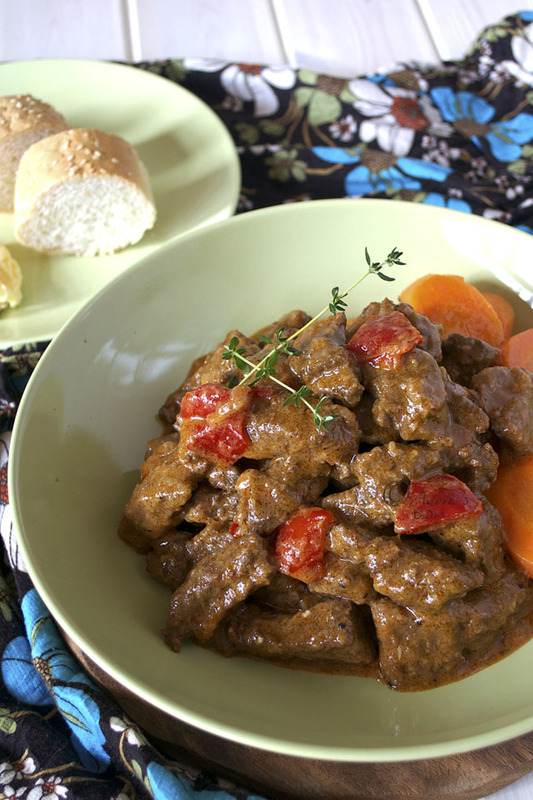 Make this dish one of your favourite winter warmers. Slice the beef into approximately 2"x1"x1/4 thick slices and dust lightly with the seasoned flour. Shake off the excess. Brown, a few at a time, in a mixture of the olive oil and butter. Set aside. In the same pan, saute the garlic for 1 minute, then add the onions and cook until soft. Add the paprika and the tomato paste. Blend well. Transfer to an oven proof casserole then add the beef, the 2 c. of boiling hot stock and the sprig of thyme. Stir gently then cook in the oven for 1 hour and fifteen minutes or until the beef is tender. Add the sweet pepper strips after an hour of cooking. When done, stir in the crème fraîche. Serve with tagliatelle, boiled potatoes or rice. This looks really delicious! It is making me hungry. Great pics too! My mouth is watering over those beautiful pictures! I really wanna dive in that plate right now! My grandmother used to make something SO looking to this. I love goulash. So yummy! This is amazing! When my mother made "goulash" it was meat spaghetti sauce with macaroni noodles. Something tells me this is WAY better! Buzzed! Ann, you and I must come from the same family. My German-Irish grandmother's goulash was the same: meat spaghetti sauce with elbow macaroni. But the rest of the story is that Hungarian goulash is usually served with spaetzle,which is are German egg noodles. Until very recently, you couldn't buy pre-made spaetzle in most places so elbow macaroni became the quickest substitute. This looks delicious and want to eat it with a big bowl of rice. I first thought it's curry but it's not. Besides fresh thyme and red pepper I have everything. I want to make this soon! Wow!!! i love beef...i can have it like for both my meals:)Love your space here...i see myself making a few of your beef recipes.. 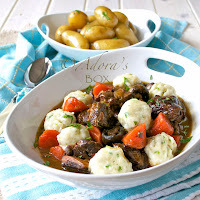 I love goulash, both as a thick sauce and as a soup/stew.and this one is no exception! Look like a million bucks, and honestly if I could I would eat it every day! :)) Love your photos!! Your goulash is delicious - even my picky seven year old loved it! I can't wait to try another one of your recipes!